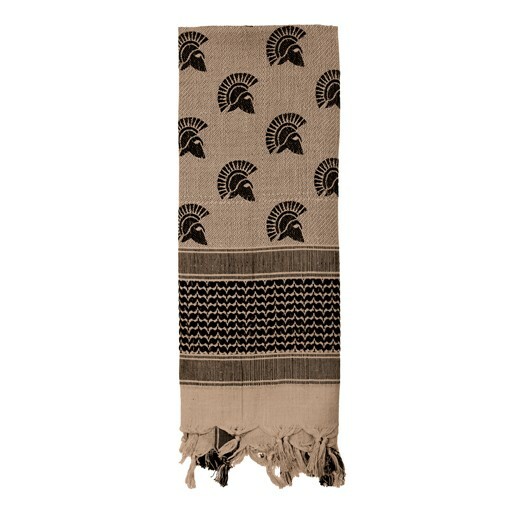 Spartan Shemagh features an olive drab shemagh with black spartan helmet pattern. Shemaghs are a traditional desert head-wear that are designed to protect the head and neck from sun and sand. These tactical scarves are worn by military personnel worldwide and can also be worn as a fashion accessory.